Today, most of us think that bringing of Pascha baskets loaded with meat and cheese and other rich foods to church is a Slavic custom. But it wasn’t always so. It was once the universal practice of the Church. In the early days of the Church, on the Great Feasts, families brought baskets of food to church, where the baskets would be blessed and the food shared. We see that custom still on the Feast of Transfiguration, when the baskets of grapes and fruit are blessed. The custom of bringing baskets of food to church on Pascha was mostly lost in Greece during the 400 years of Turkish rule, although it persisted in a few villages in northern Greece and in the Peloponnesos region. In England and America, the custom was lost in the 17th century, when the celebration of Easter and other holy days was banned. But, as in Greece, it was not entirely lost. In America, when the holy days were restored, Easter baskets returned, but not as they had been. They came back as small baskets filled with eggs and sweets for children. But the ancient practice lived on in the Slavic countries. Wicker baskets are loaded with rich foods and meats, decorated with bows and flowers, and covered with beautifully embroidered cloths. They’re brought to the church before Nocturnes on Pascha eve, and a candle is tucked into each basket to be lit when the priest blesses the baskets at the end of the services. What goes in Pascha baskets? That depends. My basket always contains cheese-and-sausage balls. When my children were young, I always included bunny-shaped honey rolls, like the ones Catherine’s mom makes. Sometimes I include single-serve cartons of chocolate milk for the children. In the Slavic countries, there is a traditional list of foods for the baskets, a list that hasn’t changed much since the days when the baskets were still a universal custom. Some people still include all of these foods in their baskets. Some people don’t. What goes in a traditional Pascha basket? A rich eggy bread and a sweet cheese spread. The bread is called paska and the cheese is called kulich. Unless you’re Russian, in which case the bread is kulich and the cheese is paska. No, I don’t know why. If you know, please tell me! Ham, bacon, and kielbasa. These rich meats remind us of the extravagance of God’s love and our redemption. They’re pork to remind us that, in Christ’s death and resurrection we’re freed from the Old Law and the curse of sin. Some people also include roast beef or other roasted meats in their baskets. Butter. It’s often molded in the shape of a lamb or a tri-bar cross, to represent the goodness of God’s gifts to us. Eggs, boiled and dyed red or intricately decorated. The eggs symbolize the Resurrection. Wine, which God gave us to make our hearts glad. Salt, to remind us that we are to be the salt of the earth through our good works in Christ Jesus. Horseradish mixed with grated beets and sweetened with sugar. This blood-red mixture symbolizes the bitterness of Christ’s passion, which we do not forget even as we celebrate the Resurrection. But because of the Resurrection, the bitterness of death is now sweetened with the hope of eternal life. A candle, which is lit when the priest blesses the baskets. You can, of course, use a plain white kitchen towel to cover your Pascha basket. But you might prefer something a little fancier. If you want a hand-embroidered basket cover, you can choose from among many different styles of embroidery. For example, the complex red and black designs associated with Ukraine and Eastern Europe may be worked using cross-stitch or pattern darning techniques on linen cloth. Designs that have a lighter, lacier look are worked with a style of monochrome embroidery often known as blackwork. The earliest examples of blackwork embroidery are from Coptic cemeteries in 14th-century Egypt. 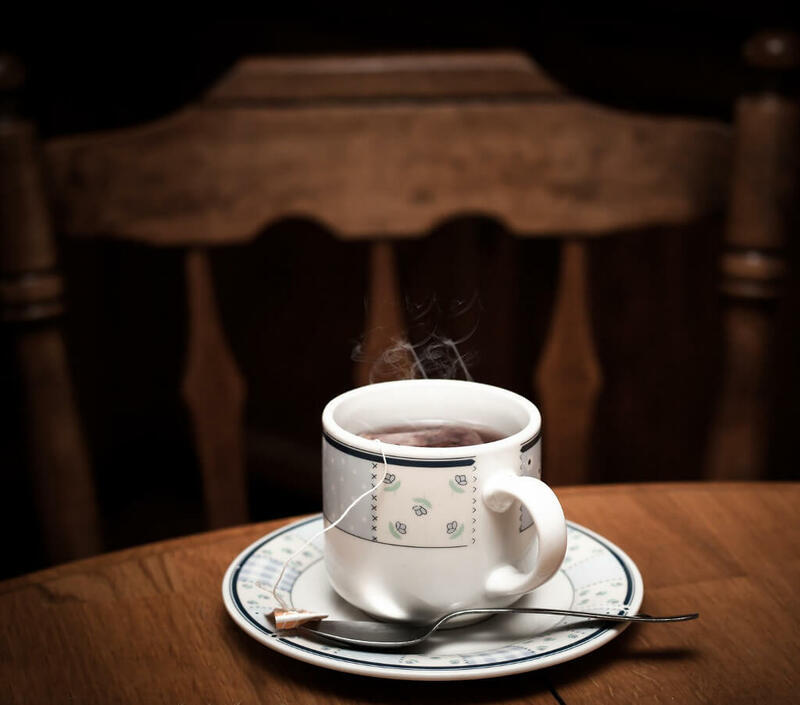 It gained its greatest popularity in 16th century England after the marriage of Henry VIII and Catherine of Aragon. It was called blackwork because it was most often worked with black silk on white linen. It was popular because, in its simplest form, it used only a few easy stitches to create elaborate, lace-like designs. 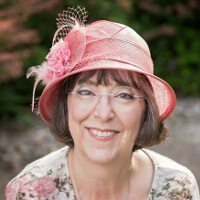 Tracy Thallas of Practical Blackwork designed the Pascha basket covers that you see in the illustrations in Catherine’s Pascha. She also created patterns for those designs, so you can make one for yourself! The designs are based on blackwork stitching techniques. This means that, even though they look elaborate, they’re very easy to do. 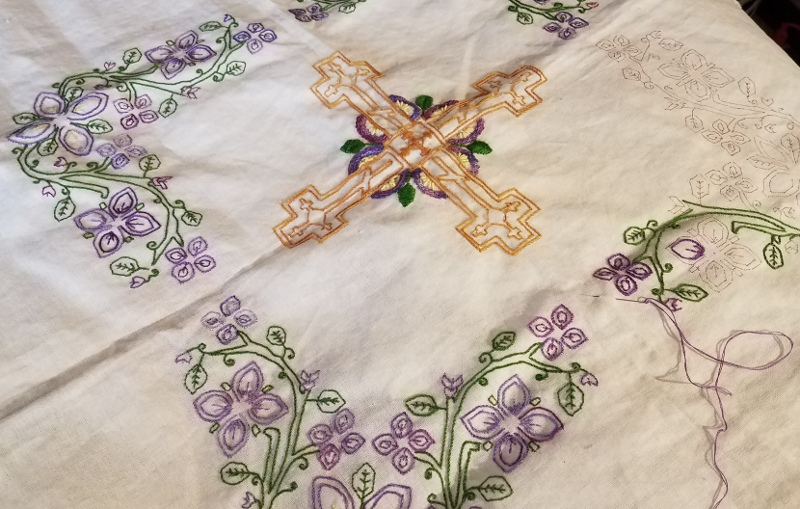 The central motif for Catherine’s basket cover and Grandma’s rushnyk is a Greek cross with a Russian cross in each arm. The Greek cross, with four equal arms, was in common use by the fourth century. The Russian cross is a variation of the Byzantine three-bar cross. On the Russian cross, the footrest, instead of being horizontal, slopes downward from left to right. You can get these patterns in Tracy’s Etsy shop, along with other historically inspired patterns. If you’re an experienced stitcher, you can complete one of these designs in about 15 hours. If you want something simpler, you can download the pattern for Peter’s Basket cover This pattern uses traditional Ukrainian motifs adapted for blackwork stitching techniques. It’s easy enough for beginners. And it’s free! Young children can make basket covers, too! This basket cover project uses bits of lace and ribbon, fabric paints, and other craft supplies to let children make one-of-a-kind basket covers for the family basket or for their own Easter baskets. 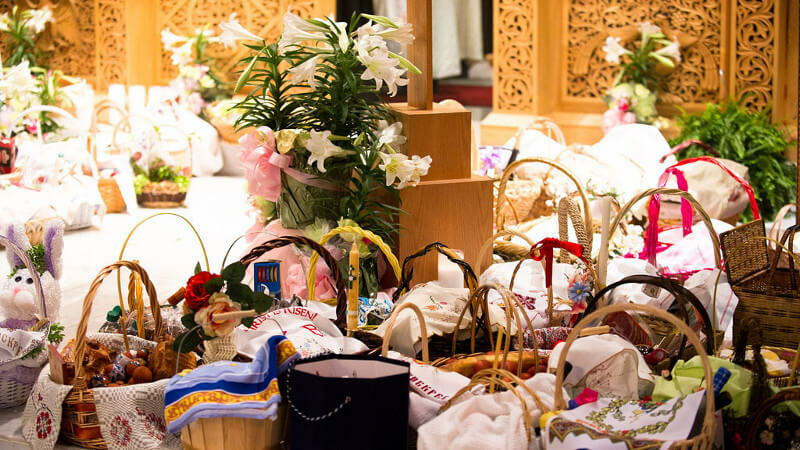 To learn more about the history of Pascha baskets, see “Pascha and the Family Basket,” a 1987 article in The Orthodox Observer written by Father Gregory Wigenbach. At the time the article was written, Father Gregory was the national director of the Greek Archdiocese Department of Church and Family Life.